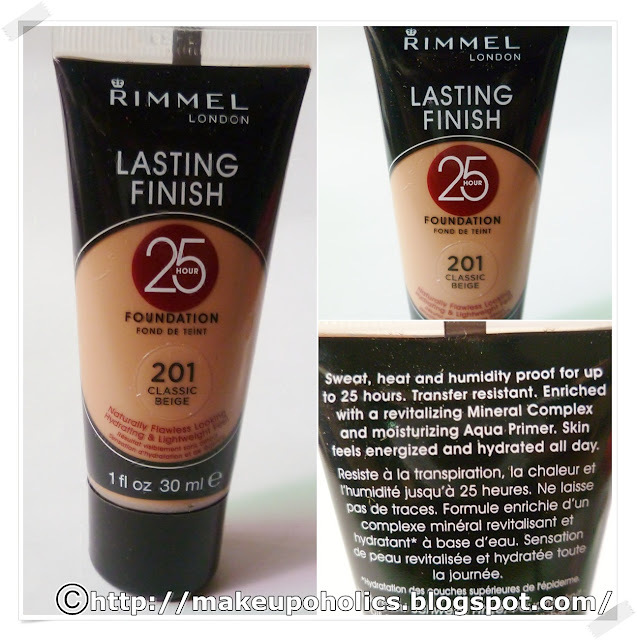 25 Hour Comfortable Wear foundation by Rimmel makes skin feels energized and hydrated all day. LASTING FINISH 25 Hour Stress-Proof Foundation. Face it, your day is stressful. Early mornings, late nights. You give more than 100% everyday. Shouldn’t your makeup? 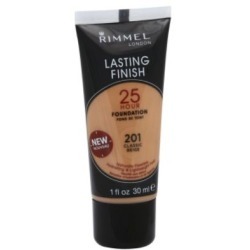 Introducing Lasting Finish 25 H. Rimmel’s first transfer-resistant foundation that lasts a full 25 hours.Formula with revitalising Mineral Complex helps re-energise overworked skin. No sign of makeup fatigue for a full 25 hours. Color stays true and can’t fail. With a moisturising Aqua Prime so skin feels hydrated and comfortable all day. Face it, you are more than a 24-hour woman. Shouldnt your makeup last as long as you do? 25 Hour Comfortable Wear. Sweat, heat and humidity proof for up to 25 hours. Transfer resistant. Enriched with a revitalizing Mineral Complex and moisturizing Aqua Primer. Skin feels energized and hydrated all day. Naturally Flawless, Hydrating and Lightweight Feel. Aqua/Water/Eau, Cyclopentasiloxane, Butylene Glycol, Cetyl Peg/Ppg-10/1 Dimethicone, Talc, Ethylhexyl Methoxycinnamate, Trimethylsiloxysilicate, Silica Silylate, Sodium Pca, C12-15 Alkyl Ethylhexanoate, Magnesium Sulfate, Zinc Stearate, Dimethicone/Vinyl Dimethicone Crosspolymer, Acrylates/C12-22 Alkyl Methacrylate Copolymer, Bispeg/Ppg-14/14 Dimethicone, Amodimethicone, Laureth-7, Lecithin, Tribehenin, Propylparaben, Methylparaben, Disteardimonium Hectorite, Phenoxyethanol, Trihydroxystearin, Dimethiconol, Triethoxycaprylylsilane, Parfum/Fragrance, Xanthan Gum, Propylene Glycol, Tocopheryl Acetate, Propylene Carbonate, Hydroxyethylcellulose, Laureth-4, Hexyl Cinnamal, Limonene, Butylphenyl Methylpropional, Sodium Sulfate, Benzyl Salicylate, Linalool, Geraniol, Bht, Alpha-Isomethyl Ionone, Citronellol, [May Contain/Peut Contenir/+/-:Titanium Dioxide (Ci 77891), Iron Oxides (Ci 77491, Ci 77492, Ci77499)]. 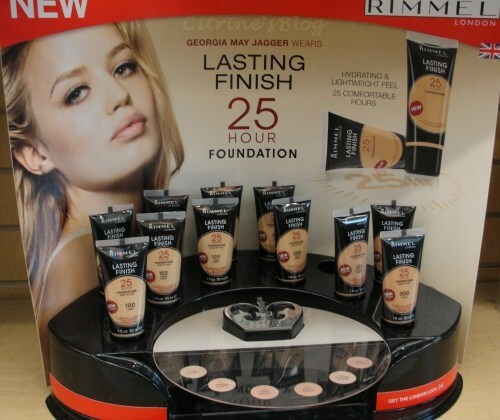 Rimmel claims that this foundation is SWEAT , HEAT and Humidity proof for 25 hours . Its transfer resistant and skin will feel energized and hydrated all day . Is that claim right ??? Lets find out. After testing it on my hands , it first looks like a perfect match but its actually a one tone darker then my skin tone . As my face is somehow fairer then my hands. SO , my face did look muddy after applying it which was a big disappointment. I think one tone lighter then this would be my perfect match. But even after my pregnancy , my skin color and texture is continuously changing -thanks to my post pregnancy hormones . To a great surprise, when I try it again, it blends well into my skin. So I decided to give it a try to check the claims. It applies smoothly on my face and the consistency is somehow runny . 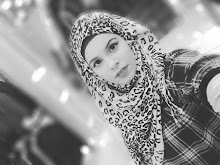 You can easily apply it with Sigma F80 brush ( review HERE ) . As it will give you that air brush finish. The formula is light but can still give you medium to full coverage. 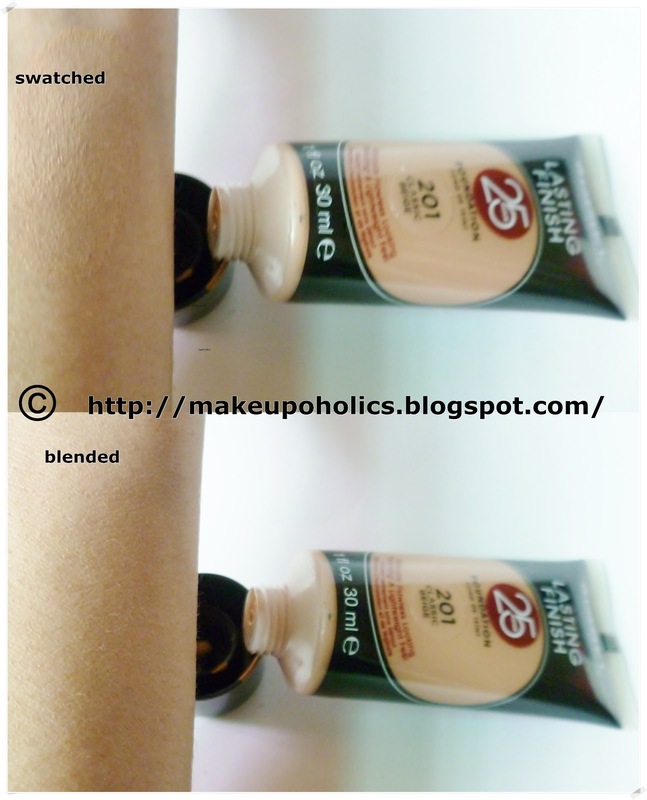 This foundation can lasts for no longer more then 1-2 hrs ( at least for me ) . And it comes in very limited shades. The packaging is not very attractive but that’s ok for a drug store product I guess where the price is great. If your skin is very dry. If you want a foundation that has a light formula ( like a BB cream )but can give you a full coverage. If you are looking for a moisturizing foundation. If you think its affordable. If you cant find your exact shade. 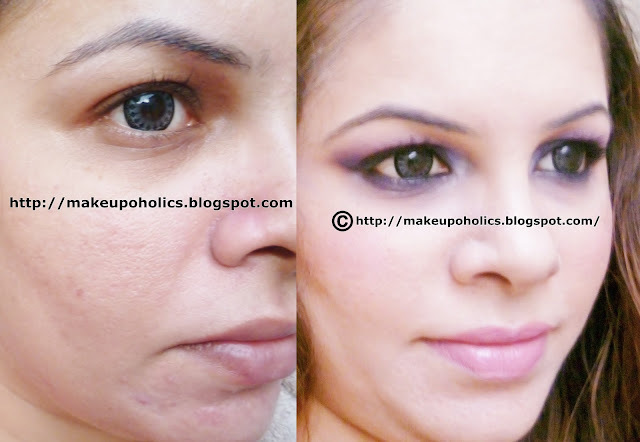 If you want your foundation to last for longer period of time. Yes , if only your skin is not oily like mine. 30 ml of RIMMEL LONG LASTING LIQUID FOUNDATION in Shade 201 Classic Beige can be purchased for the price of around PKR 1160 ( not sure about the exact price) . You can buy it online from boots. Much difference between before and after photo. It works good i guess .